Dr. Michael Siegman is a board certified general and thoracic surgeon in practice since 1995. He is also a faculty member of the American College of Surgeons. 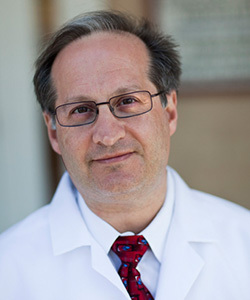 Dr. Siegman graduated from Brown University in Providence, Rhode Island with a degree in Biology in 1983. He received his medical degree in 1986 also from Brown University as part of their seven-year program in liberal medical education. He completed his general surgery residency training in 1993 at the Mount Sinai Medical Center in New York, New York. During his residency training Dr. Siegman spent two years as a clinical fellow in the cardiac surgery branch of the National Heart, Lung and Blood Institute in Bethesda, Maryland. While at the National Institutes of Health Dr. Siegman participated in clinical studies as well as original research in the field of thoracic surgery and authored multiple publications. Following the completion of his residency in general surgery in 1993, Dr. Siegman entered a thoracic surgery fellowship program at the Texas Heart Institute in Houston, Texas under the guidance of Dr. Denton A. Cooley. He spent a year at the MD Anderson Cancer Institute as part of this program specializing in thoracic malignancies. Upon completion of his fellowship training in 1995 Dr. Siegman began practice in the New York – New Jersey region in both private practice as well as at the Hackensack University Medical Center, an affiliate of the University of Medicine and Dentistry of New Jersey. In 2003 Dr. Siegman relocated his practice to Tampa and began Suncoast Surgical Associates, P.A. Dr. Siegman is board certified and re-certified in both general and thoracic surgery. He has performed over 3000 general and thoracic operative procedures. He has years of experience with both open as well as minimally invasive techniques for both specialties.